Have documents needing shredding? 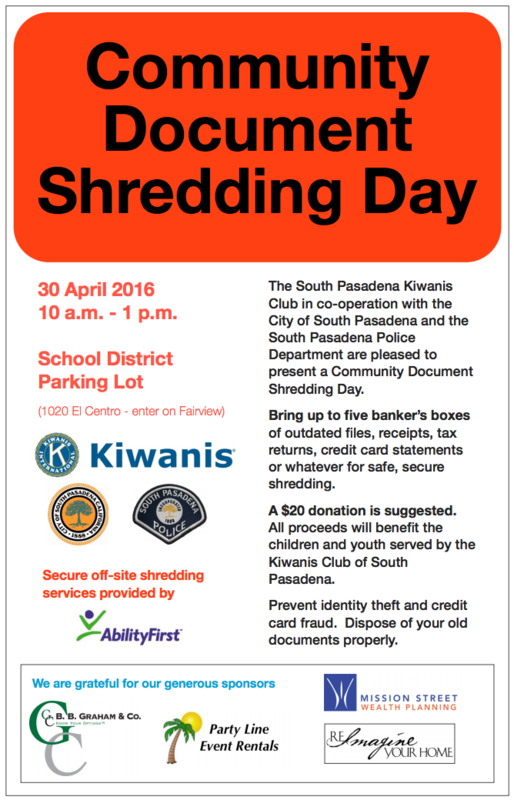 Join us this Saturday, from 10am-1pm, for our 3rd annual Document Shredding Day at the School District Parking Lot. Protect yourself from identity theft and credit card fraud by disposing of your personal papers in a safe and secure manner.